Nanjing Pingshan Forest Park Scenic Area is located in the hilly area of the north of Liuhe District, Nanjing City, with an area of 22 square kilometers. The forest coverage rate in the park is more than 85% and belongs to the AAA-level scenic spot. Pingshan was formed in the orogenic movement 130 million years ago. Most of the forests are primary forests and secondary forests. In the undulating mountain forest, there are more than ten kinds of national protected animals such as egrets, wild foxes and pelicans, and more than 400 kinds of flower seedlings are grown such as black pine, ginkgo, tea, bamboo, and hackberry. Its biggest feature is “mountain in the mountains, valley in the valleys, and river in the rivers”. The mountains, the valleys, and the rivers blend together and cast beautiful reflections. In the scenic area, the forests are undulating, green is everywhere, birds are singing, and the egrets are flying. 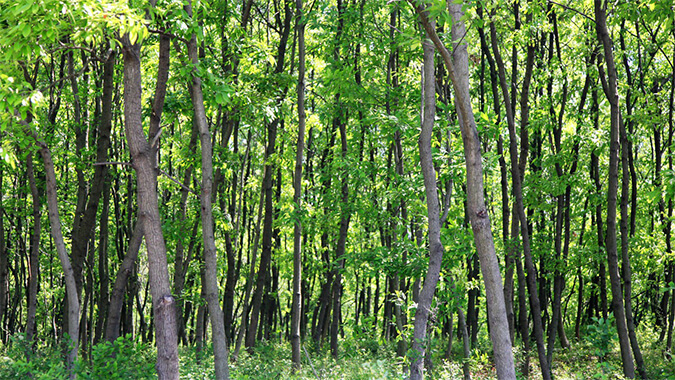 It is the largest forest area in Liuhe District and the best one in ecological protection. 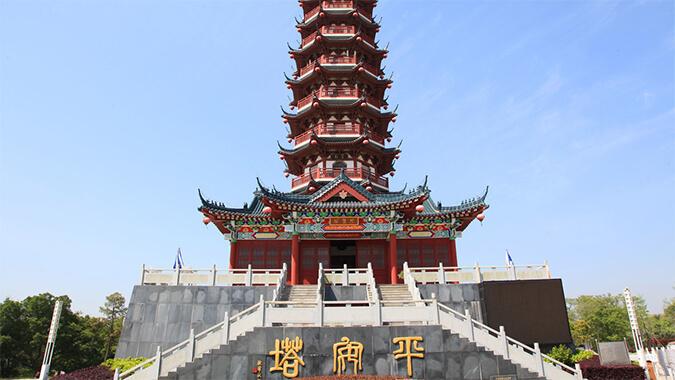 The main attractions are: Cuiming Lake, Lovers’ Garden, Ping’an Tower, Shuangdie Lake, Jasmine Garden, Lakeside Road, Sakura Valley, etc. The quiet and relaxing environment of the park is suitable for outdoor camping. Climbing up to the Peace Tower and looking far and wide, the park’s forests and tea gardens are undulating with a green carpet. The mountain is connected with the lake, and the mountain is covered with green vegetation. 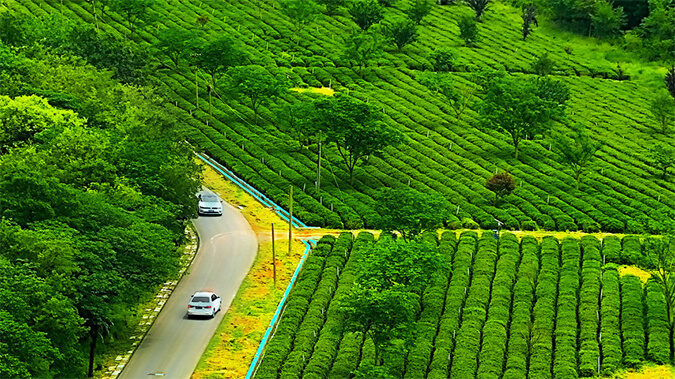 The 10,000-acre pine forest is surrounded by thousands of acres of tea gardens. There is also a jasmine garden on the edge of the tea garden. The ecological environment is excellent. The underground is a mineral water layer with a radius of several hundred kilometers. 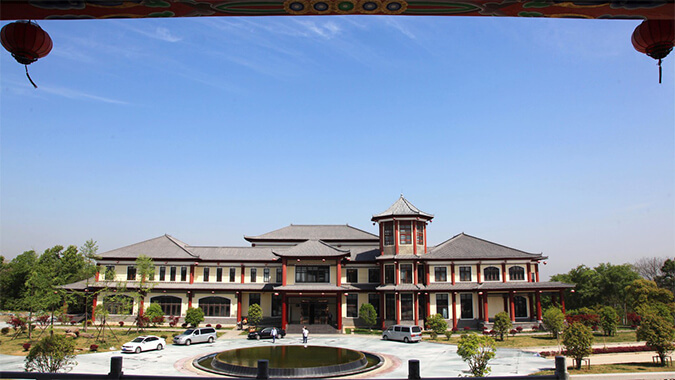 With its unique soil quality, the quality of the Yuhua tea here is excellent, and it has won many awards at the National Tea Exhibition.